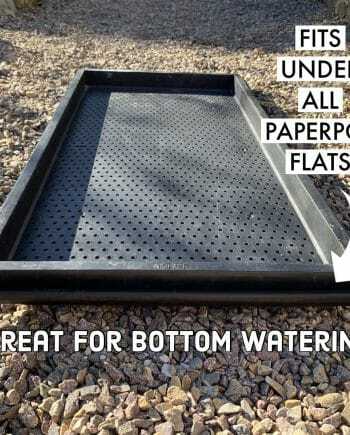 10/20 Shallow Microgreen Flats – With Holes – Paperpot Co. Traditional sizing, thicker plastic, and a great price! 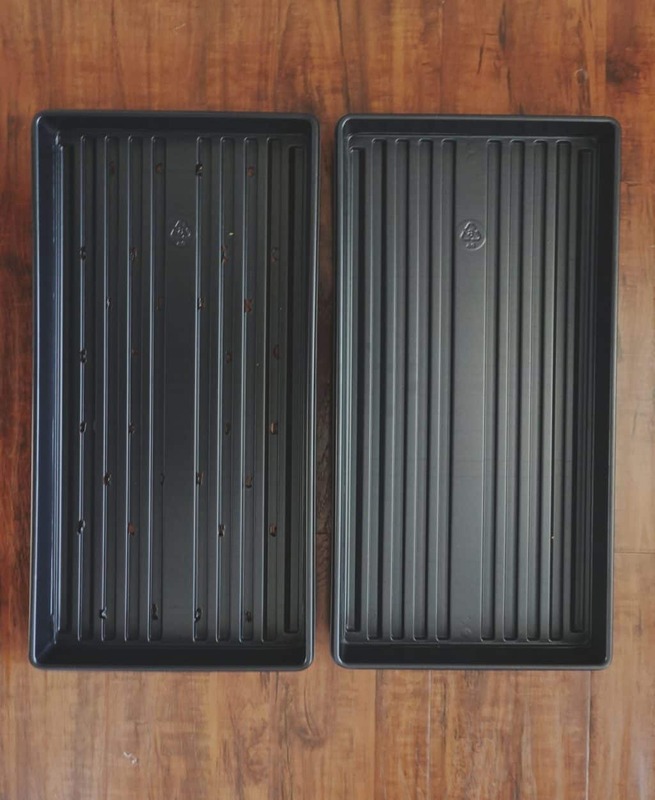 Shallow depth flats are great for growing microgreens or usings beneath cell trays to bottom water crops. 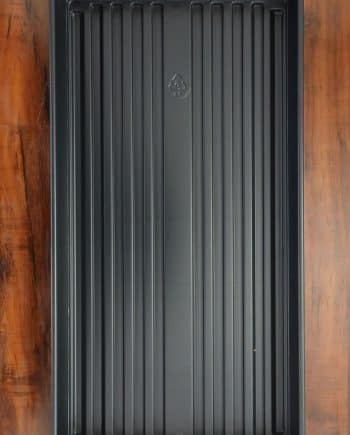 Compared to other 1020 microgreen flats on the market in this price range, these flats are thicker and heavier, and should last longer making them the best inexpensive 1020 microgreen flats we could find. Available with holes and without. These shallow flats are great for growing microgreens or for using beneath cell trays to bottom water crops. They are lightweight and easily stack and nest within each other for storage. Compared to other 1020 microgreen flats on the market in this price range, these flats are thicker and heavier and should last longer, making them the best inexpensive 1020 microgreen flats out there. 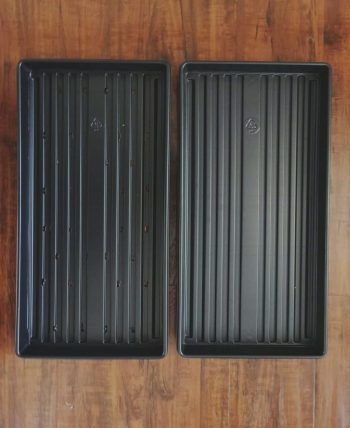 These trays have drain holes and pair perfectly with our solid bottom trays. Just getting started? Consider a combo pack that has 10 of each type of tray. Note: These flats will not work with paperchains. Flats are made of #6 plastic – polystyrene which is considered food safe by the FDA. Two completely different products. 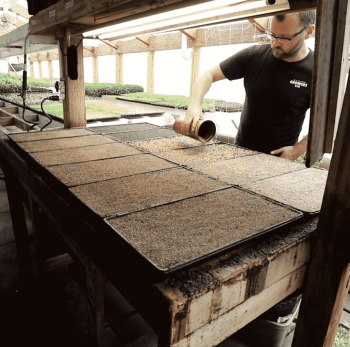 Paperpot Nursery Flats (PNF) are designed to be used to germinate transplants for the Paperpot System, but can double as microgreen flats. The PNF are larger (inside dimensions 22 7/8″ x 11 1/16 x 1 3/16″) and heavier. Their design is different and a lot more plastic is used in their construction making them much stronger and more durable. If you use the Paperpot System and you want to simplify things on the farm, and only carry one flat, then the PNF makes sense and should last for years to come. If you only grow microgreens, the PNF sizing works, and you want a long lasting tray solution, then the PNF makes sense. If you are looking for a cheaper alternative then the 1020 Shallow Microgreen Flats (1020) might be a fit. 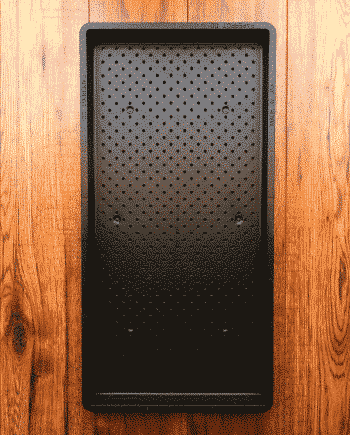 If your system is set up around 1020 flat sizing, then the 1020 flats might be a fit. 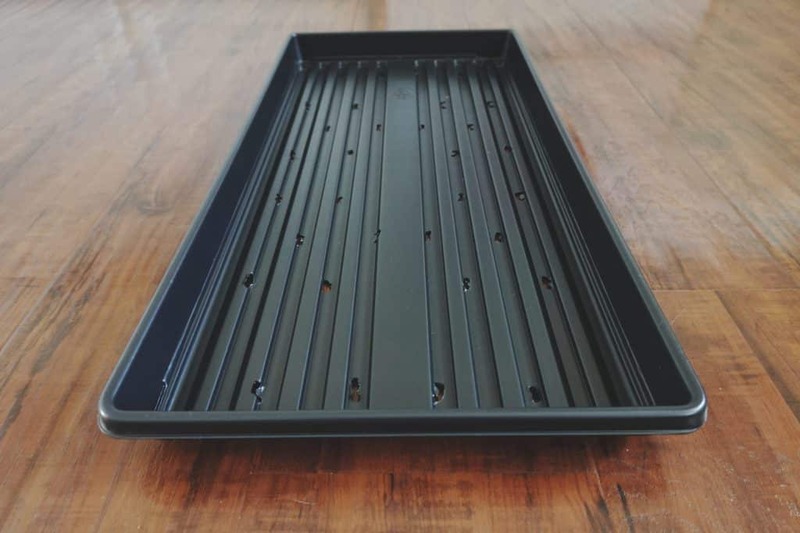 If you only need these trays for microgreens, then the 1020 flats might be a fit. 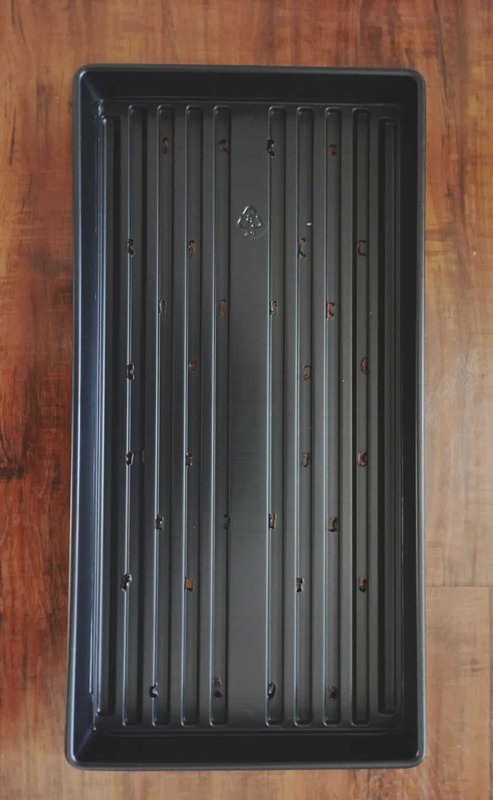 The 1020 flats combine traditional sizing and low cost into one durable option. Our 1020 flats aren’t nearly as strong as our PNF, but they are the strongest option that we could find in this price range. Depending on how you treat them and how often you use them they could last a season or more before cracking. Consider your budget, your space, and your system before purchasing any flats.